Hutorok – a European quality flash-freeze product line. Brands of Rud. 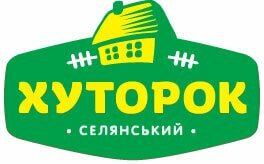 ТМ «Hutorok» — Ukrainian natural products, made according to European standards and using modern technologies. Fruits and berries grown on environmentally friendly Ukrainian fields, and therefore contain no chemical additives. Quality of products are carefully checked: in the package you will find only whole fruit of the same color and size. “Hutorok” manufactured using flash-freezing technology. In a few minutes food froze to -40C. In this way they keep the maximum of benefit, flavor and structure. For dumplings and ravioli we use only selected ingredients. That is why the ready-to-cook food TM "Hutorok" - a combination of delicate thin pastry and juicy filling. Taste of home! TM "Hutorok" - is the quality and benefit for the whole family!